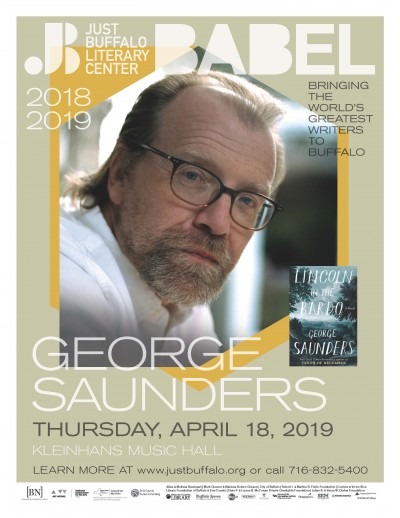 The 2018-19 BABEL season closes out on April 18th with contemporary master George Saunders. "Lincoln In The Bardo" delighted critics and the general public winning the Man Booker Prize. As always, BABEL allows you the chance to not only listen to Saunders speak, but you, the audience, have the opportunity to write down questions for the author, as well as have your book signed. Additionally, be the first to learn about our 2019-20 season when Artistic Director Barbara Cole announces it live from the stage!